Team Burback Birthday Bonanza is not new to the Gaza 5K. In fact, it's their third year participating. We caught up with team captain (and birthday girl) Sara Burback to learn more about why her team is back again for another year of moving for mental health. Sara has also run many other races in support of Palestinian rights and awareness including the Right to Movement Marathon in the West Bank. 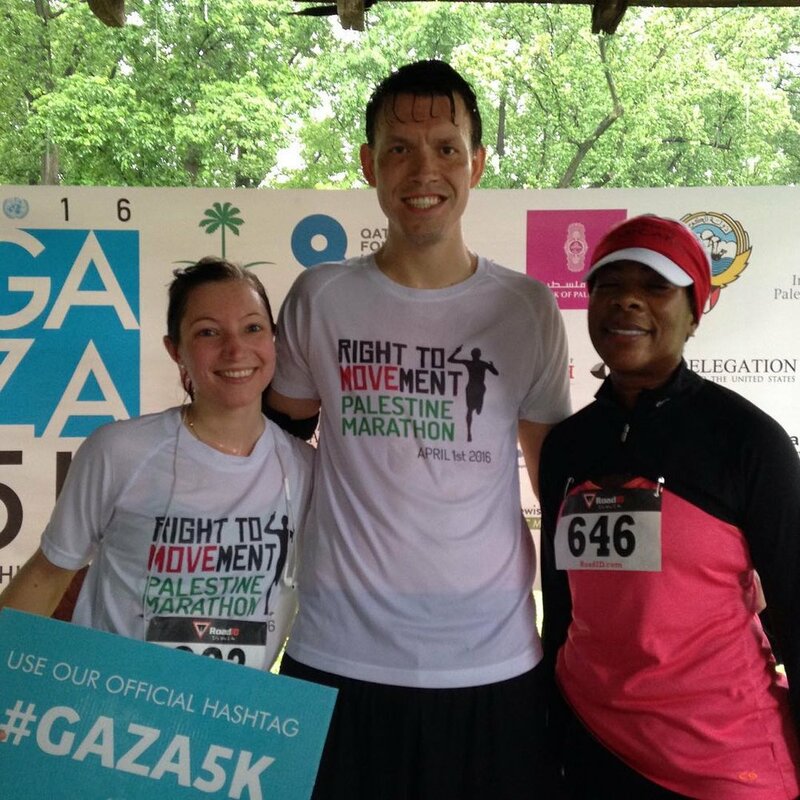 [UNRWA USA]: Why is your team participating in and fundraising for this year's DC Gaza 5K? [Sara]: I run and fundraise as a way to help the people of Gaza to realize their narrative as a people is one of resilience and collective strength within their communities; that personal health is their basic human right; and that their safety and future is a priority for many Americans. [UNRWA USA]: The DC Gaza 5K supports UNRWA's emergency programming, including mental health care. What does mental health mean to you and your team? [Sara]: Mental health is important to me because the trauma a community carries can influence people for decades. [UNRWA USA]: How are you getting your local community involved by participating in the Gaza 5K? [Sara]: Participating in this race every year and inviting friends to celebrate my birthday through sharing our support for the people of Gaza is a way I know I can influence change and show my community that we all have that ability to respond to crises. Moving for mental health is a great way to act! Want your Gaza 5K team to be featured? Email us and we'll share how you're getting your community involved in supporting access to mental health for refugee kids in the Gaza Strip.